Available colors: White, Natural Clay, Autumn Brown, Sierra Blend, Arctic Blend, Arbor Blend, and Weathered Blend. 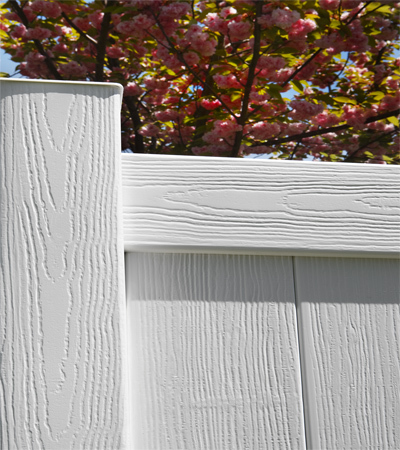 Bufftech lexington privacy fence is backed by outstanding lifetime limited warranty coverage, including our exclusive SureStart™ protection. SureStart covers warranty repair and replacement costs - including labor - for a period of five years after installation. 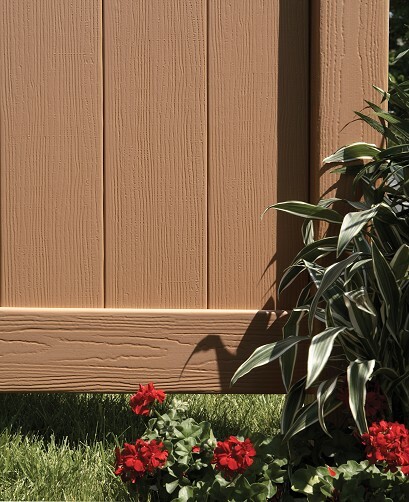 Bufftech (Certainteed) privacy vinyl fence is designed with attractive appearance on other sides of the fence. 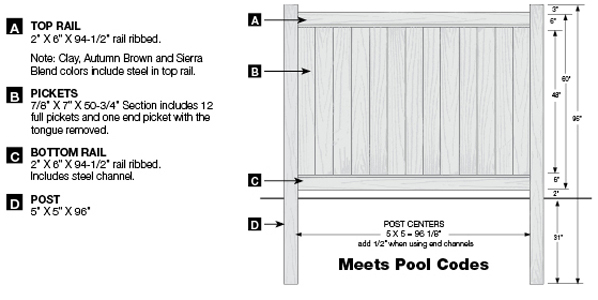 Allowing your neighbors to enjoy your new fence, just as much as you do. Bufftech fence systems and accessories come in a wide array of styles, colors, textures and sizes, making it easy to create a look that complements your personality and lifestyle. The perfect complement to Chesterfield with CertaGrain texture fence, the CertaGrain gate offers durable construction and the highest quality hardware in the industry. Bufftech's premium gate includes a heavy-duty internal aluminum frame and safety features such as self-closing hinges and lockable latches. Our Chesterfield with Certagrain texture features 7" wide "boards" with tongue and groove edges so one board fits inside the other. This is the best way to avoid gaps between the pickets. The bottom rails contain a hidden steel reinforcement channel to prevent sagging.